Situated by the River Thames, the Garden Museum provides the perfect location for wedding receptions, corporate events, parties and celebrations. There are two main spaces available for venue hire. 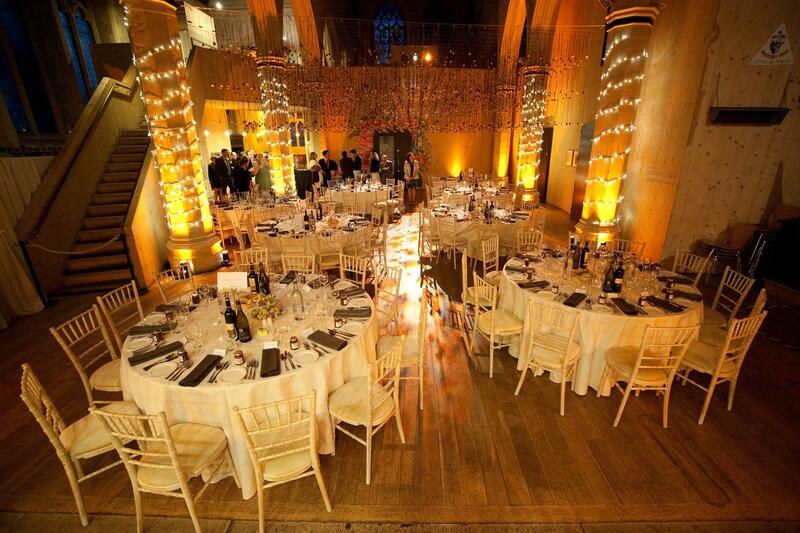 These are the Nave, a traditional space in the main church with soaring ceilings and beautiful stained glass windows that can accommodate up to 120 for a seated dinner or 250 for a standing reception and the brand new Dan Pearson Garden which balances the medieval surroundings of the main church tower with contemporary bronze and glass architecture. This space is a perfect location for a drinks reception for up to 120 or a smaller dinner event for 30 and provides a tranquil opportunity to escape the hustle and bustle of the city with the chance to use one of London’s newest event spaces.